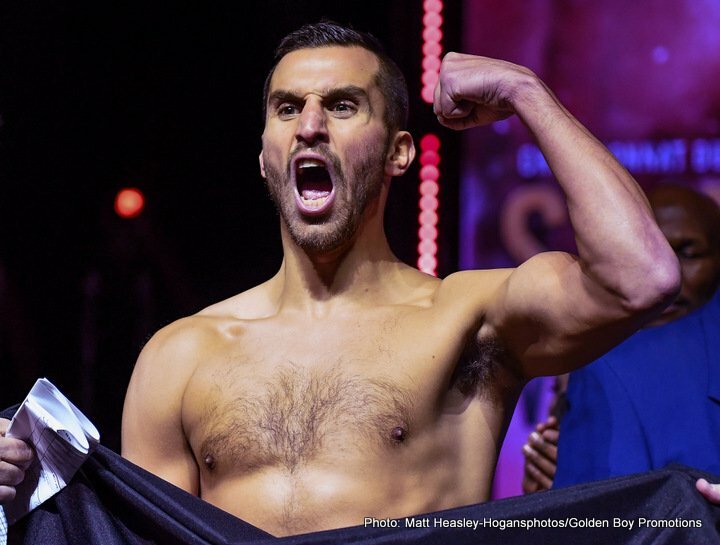 David Lemieux vs Gary “Spike” O'Sullivan: Who Wins? David Lemieux vs Gary “Spike” O’Sullivan: Who Wins? Both men are known as exciting fighters in the current middleweight division, and former IBF champ David Lemieux and contender Gary “Spike” O’Sullivan are set for a collision in September, on the card of the big Golovkin-Canelo II showdown in Las Vegas on the 15th. The two have exchanged words and O’Sullivan has reportedly signed on for the fight – and a potential thriller this one really is. Irish warrior O’Sullivan, 28-2-1(20) is a powerful puncher, while Lemieux, 39-4(33) has in his time scored some truly chilling KO’s (see his brutal icing of Curtis Stevens). When we look at the styles of the two men, Lemieux-O’Sullivan appears to be a guaranteed action fight; very possibly a real slugfest. After he was widely outpointed and outboxed by WBO middleweight champ Billy Joe Saunders back in December, it was assumed Lemiex would make the move up to 168 pounds and stay there. But after his catch-weight win over Karim Achour in May, Lemieux obviously had other ideas. O’Sullivan, a real crowd-pleaser of a fighter, is very much in line to fight the GGG-Canelo II winner, and if he can beat Lemieux, it would in all likelihood turn out to be a final eliminator. This proposed match-up is a dangerous one for both fighters, but we fans will be the winners. With the great Roman Gonzalez also set to see action on the GGG-Canelo II card, we could be in store for a truly special night on September 15. The Lemieux-O’Sullivan shoot-out may not last too long though. This fight really does have the look of a hard, maybe brutal fight for both men. No way does this one go the distance. Previous boxing news: How Great Was Riddick Bowe? You are here: Home / Boxing News / David Lemieux vs Gary “Spike” O’Sullivan: Who Wins?